The rise of Slovak-born tycoon Andrej Babiš and his anti-corruption movement ANO in the Czech Republic has been greeted more with dismay than delight, as a harbinger of the oligarchisation of politics and the flagging of Czech democracy. But the arrival of a billionaire populist on the scene need not deal a fatal blow to Czech democracy and may be seen, in hindsight to, have provide impetus for change. But does underlines that any reconstruction of the state needs to run in parallel with the reconstruction of politics and the emergence of a new, more settled form of democratic party politics. Democratic politics is a moving target. The long term success of any programme to rein in the corrupt abuse of power arguably depends not only its ability to diagnose and treat current ills, but to anticipate the way democratic politics is moving. The danger is that changing nature of political and party landscape will run ahead of the reforms intended to regulate them, which are, in part, a response to a political era dominated by ODS and ČSSD that is now receding. Czech Republic: How bad is Babiš? Photo: David Sedlecký – CC BY-SA 4.0 via Wikimedia Commons. An article about billionaire Czech politician Andrej Babiš by UK-based think tankers Andrew Foxall and Ola Cichowlas of the Henry Jackson Society on the website of Foreign Policy has set the cat among the pigeons. Indeed the highly critical portrait has sufficiently enraged the Slovak-born finance minister and deputy prime minister, whose ANO movement came second in the 2013 election and now tops the polls, that he has threatened to sue. 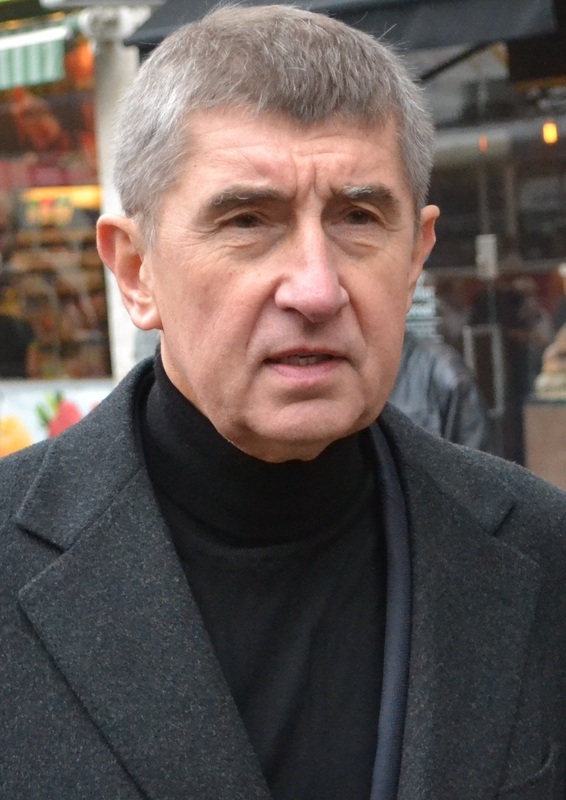 The broad thrust of the piece on the Czechs’ ‘oligarch problem’ is a familiar one: that Babiš’ has accumulated a dangerous concentration of economic, political and media power, including expanding newspaper and TV holdings and influence he can wield over public broadcasters; that are huge potential conflicts of interests between his business empire political role (shifts in government policy on bio-fuel have been cited as an obvious example); and that his own personal, professional and business background raise questions about his democratic credentials. With a Communist family background, he made a pre-1989 career as official in communist-era foreign organisation dealing the petro-chemicals, had contacts with communist-era secret police, which registered him as an informer (wrongly a Slovak court has ruled – although appeals are ongoing). His post-1989 business career has been criticised for the possibly legally dubious separation of the original (state-owned) Agrofert company from its Slovak parent and left unanswered questions about foreign-registered companies and funds – and political favours -which helped build up business empire. Veteran Prague-based business analyst James de Candole does an excellent job here summing up this issues and Czech-speaking readers could do worse than read Tomáš Pergler’s meticulously researched biography. In the immediate aftermath of the fall of communism many Western analysts feared that, far from ‘returning to Europe’, Central and Eastern Europe would slip into a spiral of Latin-American style instability and authoritarianism. Stanford professor Ken Jowitt predicted that ‘demagogues, priests and colonels more than democrats’ would shape the region’s future, while Polish-American political scientist Adam Przeworski famously wrote that the ‘East has become the South’. Even as astute an observer of the region as Timothy Garton Ash was moved to conclude in mid-1990 that ‘Poland, Hungary and Czechoslovakia are the countries where the fate of democracy hangs in the balance today’. But the region quickly confounded the doomsayers. Central Europe emerged as one the most successful newly democratizing regions in the post-Cold War world. Many states including the Czech Republic made smooth and rapid progress to OECD and EU membership and were soon marked down by Western political scientists as consolidated, if flawed democracies. In the Czech case, the flaws were readily apparent. The democracy that emerged was, for example, far from the optimistic vision of a prosperous, settled Central European state sketched out by Václav Havel when he looked into the country’s future in his 1991 Summer Meditations. As well as failing to sustain the common state with the Slovaks, Czechs saw overblown claims of a post-communist ‘economic miracle’ disintegrate amid corruption scandals that ended the Klaus government in 1997. And, while the Czech Republic did generate a stable system of ‘standard’ parties of left and right recognizable to West European eyes, Havel’s warnings that party politics would become the preserve of a caste of career politicians seemed, in hindsight, prophetic. 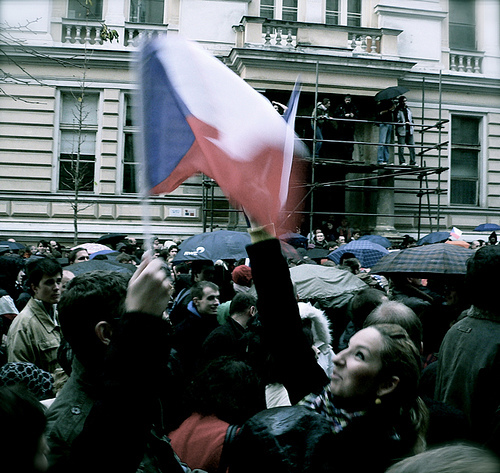 The strong locally-rooted civil society and political decentralization Havel envisaged as the bedrock of Czech democracy were present only in fragments. Local democracy was too often expressed in the murky world of municipal politics and a system of belatedly implemented regional government that become a still greater byword for corruption. Non-ideological consensus politics that Havel and others hoped would be a defining feature of Czech democracy have existed only in bastardised form of Grand Coalitions and power-sharing deals that had more to do with dividing the spoils of office than agreeing inclusive, balanced policies. 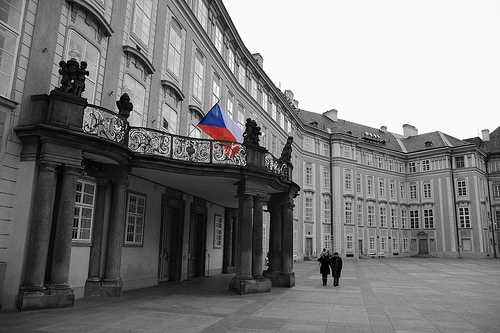 To most outside observers, however, the Czech Republic remained one of a belt of successful, stable Central European democracies, scoring well on most indices of governance, reform, and democracy, albeit with a clear lag behind West European democracies. Most would have agreed with the assessment of the Hungarian economist and political scientist Béla Greskovits that CEE states, including the Czech Republic, had created poor quality, but essentially ‘crisis-proof’ democracies where market economics co-existed in ‘low equilibrium’ with democratic politics. However, following the enlargement of European Union in 2004 and, particularly, the onset of the global economic downturn and the Eurozone crisis, many commentators have started to view the future of Central Europe in much darker terms seeing the onset of ‘democratic backsliding’ or a ‘democratic recession’. Hungary has been at the centre of such concerns. The metamorphosis of Viktor Orbán from pro-Western Christian Democrat to authoritarian populist exploiting an electoral landslide to impose an illiberal constitution, rein in the media and emasculate the judiciary, was particularly shocking. On 26 October after two terms in opposition the Social Democrats (ČSSD) emerged as the largest party in early elections in the Czech Republic with the near certainty of the forming the next government. Their political opponents on centre-right whose tottering three-year coalition government finally collapsed amid personal and political scandal in June were routed. But far from prompting celebration on the centre-left, the result provoked only despondency and dissension. Within days the party was consumed by infighting between supporters of party leader Bohuslav Sobotka and internal opponents allied with the Czech president Miloš Zeman. The gloom and factionalism are easily explicable. Despite ‘winning’ the election, the Social Democrats’ 20.45 per cent was its lowest in the history of the independent Czech Republic, falling disastrously short of its 25 per cent target vote – let alone the 30 per cent that seemed had attainable at the start of the campaign. Ominously, for the party, this was the second successive election fought in opposition in which the Social Democrat vote has declined. The Social Democrats’ ‘victory’ was very largely an optical illusion caused by the still heavier punishment meted out by voters to its traditional opponents on the centre-right. The result has left the Social Democrats having to come to terms – and quite possibly to govern – with new and unusual political force: the ANO anti-corruption movement led by agro-food billionaire Andrej Babiš, which in the course of the election campaign moved from extra-parliamentary obscurity to centre-stage, taking 18.65 per cent of the vote to become overnight the Czech Republic’s second biggest party. The Social Democrats’ poor showing and the success of Babiš’s movement – as well as the more modest breakthrough of the populist Dawn of Direct Democracy (UPD) group – were not only embarrassing for a party, which had hoped to emulate the sweeping victories won centre-parties in Slovakia and Romania last year. They also drastically curtailed its governmental options. Czech Republic: Turning left or melting down? The collapse of the centre-right government of Czech prime minister Petr Nečas earlier this month came as little surprise. His coalition had struggled on for more than a year without a parliamentary majority trying to push through an unpopular package of reforms and austerity measures that divided even its own MPs. Nor, in hindsight, was it surprising that Nečas was forced to resign in a corruption scandal. Although by reputation a geekish Mr Clean, Nečas’s efforts to root out corruption in his own Civic Democratic Party (ODS) and in wider political life proved patchy and ineffectual. The main talking points were how close the arrests came to Nečas – the main accused is his former chef de cabinet Jana Nagyová – and why Czech police and prosecutors had only now got their act together after years of suspicious inaction. Commentators speculated that the anti-corruption probe could open out in Central European version of Italy’s Clean Hands operation in the early1990s that brought down the whole party-political establishment. Most commentators assumed, however, that in the interim the coalition would limp on until scheduled elections in 2014 under the Civic Democrats’ stopgap leader Miroslava Němcova or that the deadlock would be broken by a cross-party vote to dissolve parliament. Attention shifted to the familiar ritual of party delegations being called in for talks with the president, who constitutionally appoints the prime minister and informally plays a brokering role in government formation. 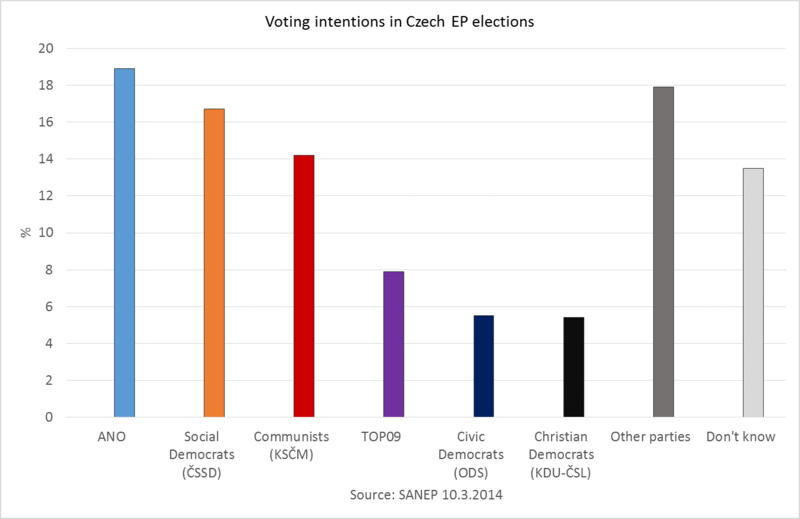 Czech Republic: How to Bale out the Civic Democrats? Tim Bale of Queen Mary University of London has a 12 point plan for politicians, who’ve hit rock bottom. Not for those who overindulge in the hospitality and get a bit er… tired and emotional in public – as Czech President Miloš Zeman seems to have done recently – but for major governing parties who’ve fallen off the wagon of electoral success and are recovering from political defeat. He outlined it in a presentation to last year’s conference of Fianna Fáil, Ireland’s traditional ruling party brutally felled in an electoral meltdown in 2011, reflecting (at Fianna Fáil’s invitation) on the lessons that the experience of the British Conservatives- about whom he is the author of a prize-winning book – might offer for FF and other similarly afflicted parties. It was delivered with characteristic mix of wit, clarity and academic expertise seasoned with a dose of drama as he told them what they probably didn’t want to hear. But, I wondered, there any other parties that might around that might usefully be advised to follow the Bale Rules? 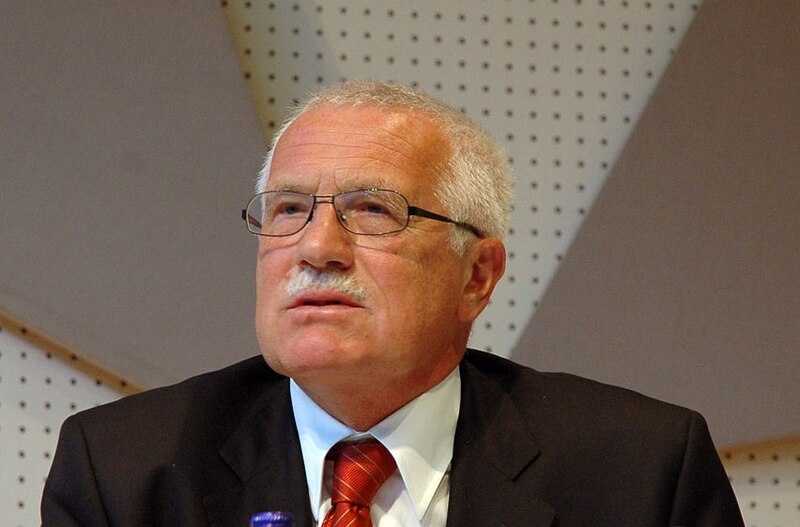 Perhaps the Civic Democrats (ODS) in the Czech Republic, the once dominant party of the centre-right founded by Václav Klaus in 1991 which bossed things in Czech politics for much of the 1990s and – along with the Social Democrats – were until the ‘earthquake election’ of 2010 one of two dominant players in a once stable party system. A few years ago I honestly told myself that I would spend less time academically on Czech right-wing politics and more time on other things. The world really did, after all, need some decent research about Central European interest groups and under-the-radar new parties threatening to break through into Czech politics. Inevitably, things didn’t work out like that. 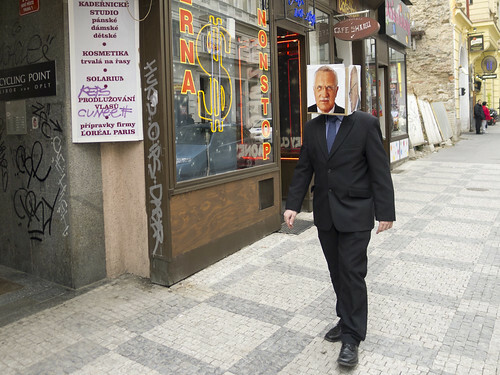 As the Czech media have noticed rather than sit at home and write his memoirs the former Czech president is embarking on the political equivalent of a European and world tour and – as with 1980s electro pop or – when you’re got all the albums, but didn’t manage to catch the acts live, it’s hard to stay away. And so it was that I found myself in Pembroke College (Cambridge) listening to Klaus giving the Adam Smith Lecture (transcript including asides faithfully posted by the Václav Klaus Institute here). In recent years figures on the left, not least fellow Scot Gordon Brown, have tried to reclaim Smith from his totemic status as an icon of the free market right, but – following in the footsteps of previous lecturers Charles Moore and Nigel Lawson – this will be a strictly orthodox interpretation. Accordingly, Klaus tells us about the Smithsonian influence over his career, explaining to semi-approved of status of classical pre-Marxian economists in communist Czechoslovakia and his position as a junior researcher attracted to liberal market economics in the 1960s, critical of the market socialist plans of the Prague Spring. Adam Smith, the Adam Smith Institute and the politics of Thatcher and Thatcherism were also an inspiration after the fall of communism when he is – he says – promoting the idea of a fully fledged capitalist market economy against residual ideas of a Third Way on the liberal left. Anglo Saxon liberal ideas helped see off the threat of a French – or German inspired social market economy in the Czech Republic.